If you're in between sizes and got a full cup (D+), we recommend ordering up. If you have a modest cup, we recommend ordering down. The fabric is very stretchy! 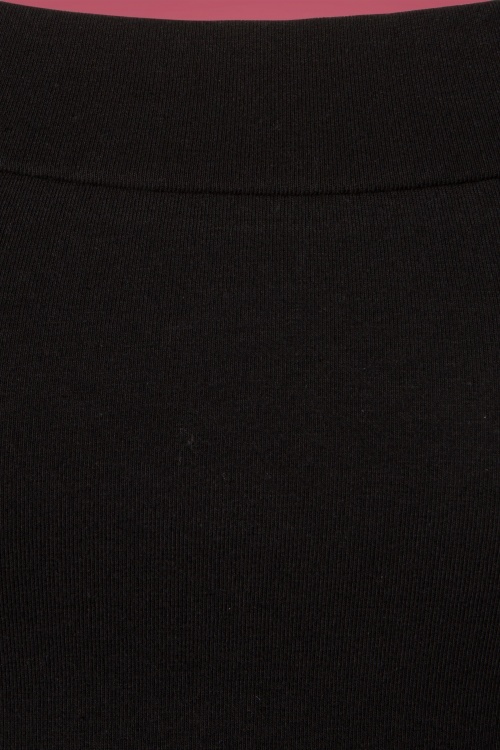 This 50s Monroe Tee in Black is Sassy with a capital S! Who says you can only rock the off-shoulder look in summer? Thanks to her 3/4 sleeves, this top is perfect for slightly cooler days ;-) Made of a thicker, yet soft and stretchy, black cotton blend for a lovely fit. Channel your inner Miss Monroe with this off-shoulder beauty!